Comments: Welcome to 8215 Jett Way. As you meander up the driveway, you will get the immediate sense of peacefulness. An updated, oversized stamped concrete sidewalk leads you to the front door. 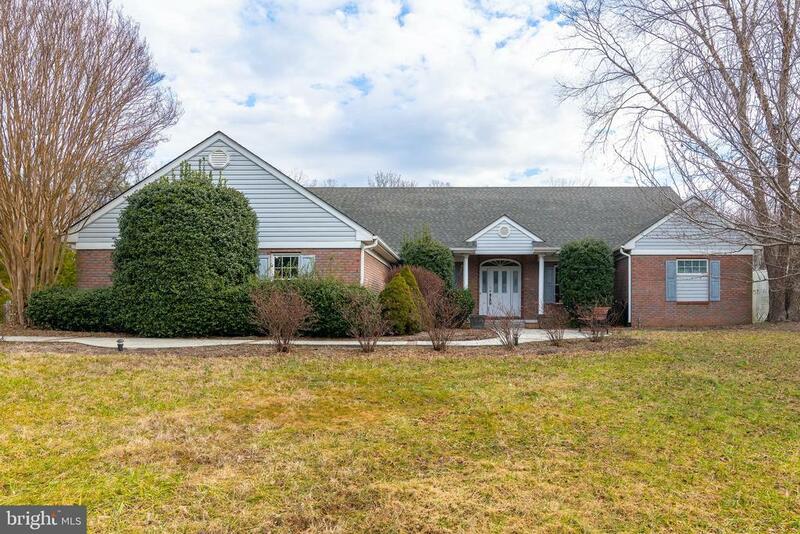 Upon stepping in to the open tiled Foyer, you will see the recently updated Office with french doors, crown molding and finished off with wainscoating. To your left is the formal Dining Room accented with chair rail, crown molding and offset with columns. Directly in front of you is the formal Living Room complete with columns and access to the covered porch. Continuing down the hallway to the right, you will find the oversized Owner's Retreat with His 'n Hers walk in closets, Owner's Bath with double vanity and roll in shower and access to the covered porch. This end of the hall also offers access to the upper level, including a huge second Living area plus access to storage in the eaves. Upon leaving the right wing of the home, you will enter in to the left wing of the home that includes the Laundry Room with laundry sink, second main level Bedroom, full bath, fireside Gathering Room and Breakfast Bar Kitchen with another access to the covered porch. Steps from the covered porch lead down to a nice sized patio that gives full views of the expansive fenced in backyard. Recent updates include a new roof, wired generator and some flooring on the main level. Welcome home!